Get bikini ready with these clean eating recipes! Here are some great clean-eating recipes to have you bikini ready in no time! Mix most of the flour with the sea salt and pepper and cover the chicken breast in this mixture. In a skillet brown the chicken breast on both sides and place in the Crockpot. Add the wine and mushrooms to the skillet and let heat for about 10 minutes, while tossing and stirring. Sprinkle the left over flour onto the chicken breast and pour the sauce over. Allow cooking on low for 6 hours. Use the parsley to garnish the finished chicken Marsala. Put the oil, garlic and spices into a bowl and mix well. Take the chicken pieces off the skewers and add to the marinade, mix and leave to marinate at room temperature for 30 minutes. Meanwhile, soak 8 bamboo or wooden skewers in cold water for the same time. Thread the chicken, peppers and onion alternately onto the skewers. Brush any remaining marinade onto the peppers and onion pieces. Put on a cooking grate and cook directly over a medium heat source for 10-12 minutes, turning halfway. Serve with guacamole. In small bowl, whisk together 3 tbs. of olive oil, garlic and peppercorns and set aside. Heat remaining 2 tbs. Of olive oil in small skillet over medium heat. Add onions and sun-dried tomatoes and cook 10 to 15 minutes, stirring occasionally. Meanwhile, brush salmon with garlic olive oil and place on broiler pan about 4 inches from heat. Broil 5 to 8 minutes, turning after 3 minutes and brushing both sides of salmon again with garlic oil. Stir balsamic vinegar, walnuts and basil leaves into onions. Season with sea salt to taste. Serve onion relish alongside salmon. In a bowl, toss the cherry tomatoes, yellow pear tomatoes, green onions, garlic, basil, cilantro, black pepper, red pepper, and sea salt. Refrigerate 30 minutes and toss again before serving. "Life is about choices" is something I have lived by for many years! I choose to be a happy person on the outside! I always have a smile on my face and there are not many times you would truly see me sad! Life is too short to be upset! But when it came to my health I was choosing a lifestyle that was completely unhealthy. From time to time, I would join a gym and go for a few months and then stop. I paid for several personal trainers but would quit before the end of my session. My heart was not completely there! I would be great for a month and then I would have a stressful event or a “just don’t care” type of attitude and quit. In August 2011 I started looking for a “boot camp” but was intimated by them! One afternoon in a nail salon, I was talking to a sweet lady who was wanting to know how she could get her business in our PTA directory! When I asked her what her business was, she told me she was a trainer for Texas Fit Chicks! This was super cool because in my search for “boot camp”, TFC kept popping up! I was able to contact Ronna and she came to our school and did boot camp 2 days a weeks for our staff! We did 2 rounds, then we just fizzled out right before Thanksgiving. That is when my unhealthy lifestyle started to go on a downward spiral! That's when I decided to join Texas Fit Chicks again! This time it was for good! On July 2, I went to my first boot camp with Titia Sivils in Plano My knees hurt and my back hurt, I could barley move, that didn't stop me! I went and did what I could with a super positive attitude! I never thought I would be someone that would get up at 4:30 AM three times a week, but I love it! I'm super sad if I have to miss! Since starting, I have missed only 5 classes and those were due to things out of my control! In August, our “chicks” did a challenge were we gave up something, I gave up my weekly cheat meal of Mexican food. More important, I gave up my negative self talk. I had to except compliments and be proud of my accomplishments! That positive talk has stayed with me! One thing I have done to contribute to my success is log all my activities on Facebook! It is amazing how many of my friends have started changing their lifestyles just by reading what I have posted! I'm training for my first half marathon in December! I run 3 times in the week! I was having a hard time getting my runs in once I got home, so I have started taking my clothes to work and run 3 miles before I go home! On the weekends I try to get in a long run! I'm completely addicted to working out! It's my happy place! I have the most supportive husband that encourages me every step of the way! My friends and family have been my rock! They encourage me and keep me going! But, it is my change to a positive attitude that has kept me going on this journey! Now my 3 year old daughter thinks it is really cool when I come back from boot camp or a run all sweaty! She wants to wear clothes like Mommy and is going to be doing her first Fun Run in December! To date, I have lost 37.5 pounds and 17 overall inches! I have finally come to the realization that the scale is not the main factor in my weight loss journey. It is how my clothes fit and how I am feeling. I have done many programs in the past that have required you to step on the scale, and I would totally manipulate that. I would not eat a day before so the scale would go down. What I love about Texas Fit Chicks is that you can’t manipulate measurements! They are what they are, because you put in the effort and hard work! To me my journey has just begun! I'm excited to see where this road will lead me! I can truly say that Texas Fit Chicks will always be part of my life! Thank you Titia for encouraging me, pushing me and always having a super positive attitude and for being such an amazing trainer!!! “Life is about choices and I choose HEALTHY!" - Allison M.
We’ve all seen photos of them doing it --- highly successful business leaders, artists, politicians, etc. engaged in some sort of physical exercise. They can be running, bicycling or swimming but the picture always looks the same¾a lean, slender physique, focused stare and they are seem to be applying every ounce of energy they can generate for that very next step, stroke or move. It is clear that this is a routine for these highly successful leaders¾something they have done regularly for a long time. The question to ask is, which came first¾the exercise routine or the success. In my own life, I can track the success of my businesses (or lack thereof) with my commitment to my workout regimen. When my husband and I relocated our real estate firm from Washington, DC to Dallas, Texas in late 2007, there were a million things to do. We had to find a new home, new office space, new employees, new everything. I foolishly believed that the way I would get through it was by simply working harder and I began working 90+ hours per week after we moved. The exercise regimen that I thoroughly enjoyed prior to the move went from daily, to occasionally then to non-existent. I “woke up” two years later and I didn’t even recognize myself ¾ physically, mentally or emotionally. I was severely depressed, emotionally drained and nearly 50 pounds overweight. That’s when I realized that I couldn’t be of service to my business, my employees or customers unless I took care of myself first. I knew that meant reestablishing and recommitting to my workout regimen. Today, my life is barely recognizable from the first few years after my move. My exercise routine is a non-negotiable part of my daily life and I am once again happy, focused and fulfilled. My husband and I now have two thriving businesses and my exercise routine has been the cornerstone of that success. By the way, losing the 55 pounds and wearing the same size pants as I did when I graduated from high school has definitely been a really nice bonus! Certainly, exercising didn’t prevent adversities from coming my way, but the routine helped keep me grounded, focused and healthy, enabling me to confidently respond and maneuver through life’s ups and downs. If you are serious about achieving the success that you’ve been pursuing, I invite you to try this simple exercise regimen. The tips that I’m about to share with you will help you get started immediately. Set the goal. Set a realistic goal for starting your routine. Perhaps you’ll begin 30 minutes three times a week. What’s important is that you set the goal and commit to it. Askyour spouse, partner and friends to help encourage you along the way. Be sure to tell them exactly HOW to support you in a way that you find most beneficial and doesn’tundermine your progress. Although there are only a handful of conditions that would hinder exercise, it is always a good idea to consult a physician before beginning an exercise routine. Schedule the time. Make an appointment in your calendar for your workout and set multiple alarms to notify you in advance of the appointment. Make this appointment ironclad. Life will always throw something your way. Don’t allow “life” to interfere with your exercise routine. Replace a habit. Many of us love “American Idol”, I know I did. However, a better alternative is using these two hours each week as the time for a workout. Another option is tocommit to working out while watching the show. I assure you, Nicki Minaj won’t even notice. I challenge you to think about other habits you have that you can replace to make room for exercise. Pick something you like. Exercise doesn’t just mean running, doing an aerobics class or going to the gym. Tennis, skiing and rock climbing are all fun and exciting ways to get in a great workout. I burned over 650 calories hanging out with my cousins for an hour at the roller skating rink! It was incredibly fun, affordable and a perfect family activity. Whatever exercise you choose, be creative and have fun. Go at your own pace. If you’ve never worked out before or haven’t worked out in a while, don’t start off with P90X! Begin your routine at a reasonable and sustainable pace. Listen to your body and allow time for recovery after your workouts. When you no longer feel challenged, increase your workout (time, weights, intervals, reps, sets, etc.). When you begin to feel bored, change up the routine. Make it a game. A few months ago, I decided I wanted my arms to have the strength and definition of some of our famous First Ladies (seriously, check out the arms on Michelle Obama and Nancy Reagan --- they are incredible!). For Operation First Lady Arms, I decided that after every bathroom visit, I would do push-ups. I started with one push-up per potty break and increased this number each day. If I was outside of the house, I did push-ups against a wall. It was great and gave me a trick for getting in more push-ups across my day. For “fun,” I started drinking more water. Besides being great for my overall health, those extra bathroom visits really skyrocketed the Operation First Lady Arms results! Join a group. Spend time with people who are looking to achieve the same things that you are. Join a group or team that helps get you moving, interacting with other people and supports your growth. Last year, I joined Texas Fit Chicks Boot Camp. Three times each week, I hang out with a great bunch of women who are fun, supportive and encourageme during my fitness journey. These women and I have established a close community and I feel as if they truly rely on me to be there each session. As such, I feel a greater commitment – a responsibility -- to show up and fully participate at each class. In addition, with the incredible workout I get at the Texas Fit Chicks Boot Camp, I burn an average of 2,000 calories per week….hoorah! Track it. The things that we track and measure¾those things that we give our attention to¾are the areas where we see the most growth and progress in our lives. Begin tracking your exercise regimen to ensure you are making progress towards your goal. Keep an exercise journal. Make a note on your calendar or maintain a journal that tracks each time you work out. I use a free app called Lose It! to track both my food and exercise. It is incredibly easy to use and even logs the number of calories you burn during your workout. Doing this helps keep you accountable to your commitment and provides you a sense of accomplishment as you review your progress each week. Forget the scale. Client, friend and International Federation of Bodybuilding & Fitness Professional Natalie Benson says, “The mirror doesn’t lie!” Instead of using a scale, consider using a measuring tape and a good old-fashioned mirror to see your results. Hold yourself accountable. Once you’ve made a commitment to your exercise routine, hold yourself accountable to it. Do not allow yourself to make excuses as to why you can’tget it done. Even if something pressing comes up and you cannot work out during your normal time, find an alternative – wake up early, walk the steps in your office during lunch,avoid the elevator for the day, etc. Whatever it takes, keep your commitment to yourself. You deserve it. If you find that you’ve gotten off track with your exercise routine, start by acknowledging it to yourself aloud. Next, understand how and why you got off track and recommit to the activities you’ve committed to. Finally, reaffirm to yourself the importance of the workout routine in your life, business, marriage, family, etc. Before we are able to successfully lead and inspire our employees, children or team members, we must be able to inspire and lead ourselves. That is a large part of what an exercise regimen is about. It forces you to take the appropriate actions that make you stronger -- not only physically, but mentally as well. It’s no coincidence why most successful people have an exercise regimen to which they are committed. I am not being overly theatrical when I say that my exercise routine changed my life and I believe it will do the same for you. Sticking with your workout routine will give you the strength, confidence and courage necessary to attain other goals you establish for yourself and bring success to you like a magnet. Most significantly, you will feel happier, healthier and more in control of your life and its outcomes. 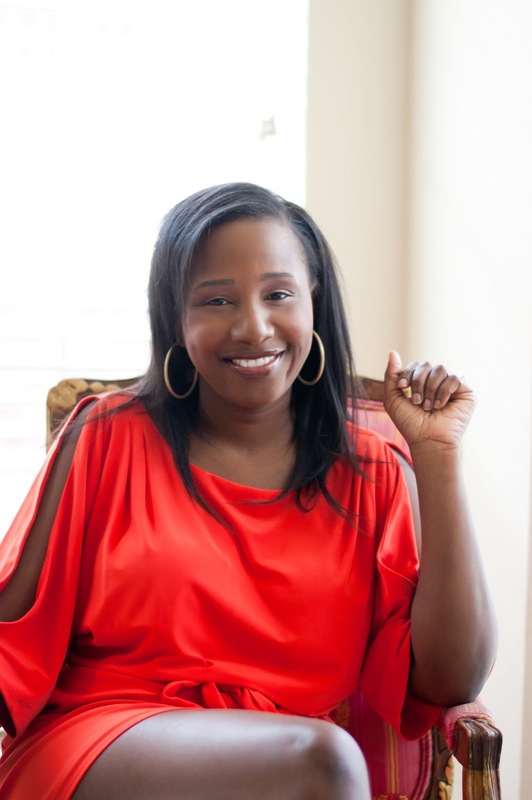 CeCe Clark is an entrepreneur, speaker and author of the upcoming book After the Fall: Creating Success in the Face of Failure (Barrett-Kohler, 2013). As a result of working with her company, entrepreneurs learn how to crystalize their dream, put a system to it and then monetize it. 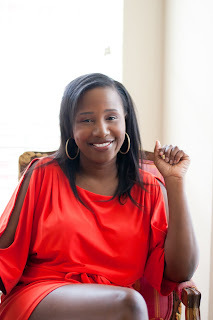 Get great tips on CeCe’s blog at www.cececlark.com or join her on Facebook atwww.facebook.com/justaskcece.